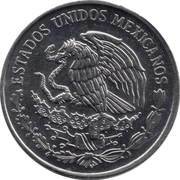 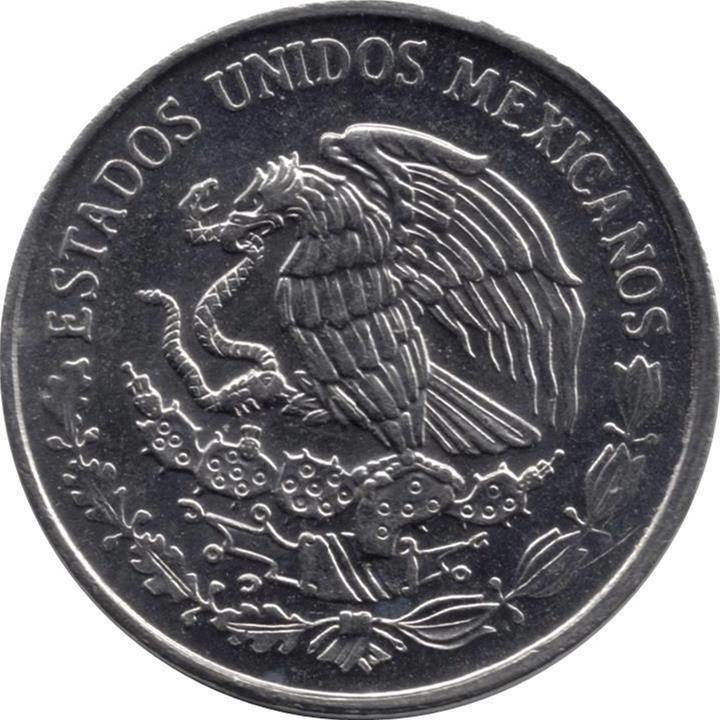 The national emblem of Mexico depicting a Mexican golden eagle perched on a prickly pear cactus devouring a snake above a half-wreath of oak and laurel below and the legend “ESTADOS UNIDOS MEXICANOS” forming the upper semicircle. 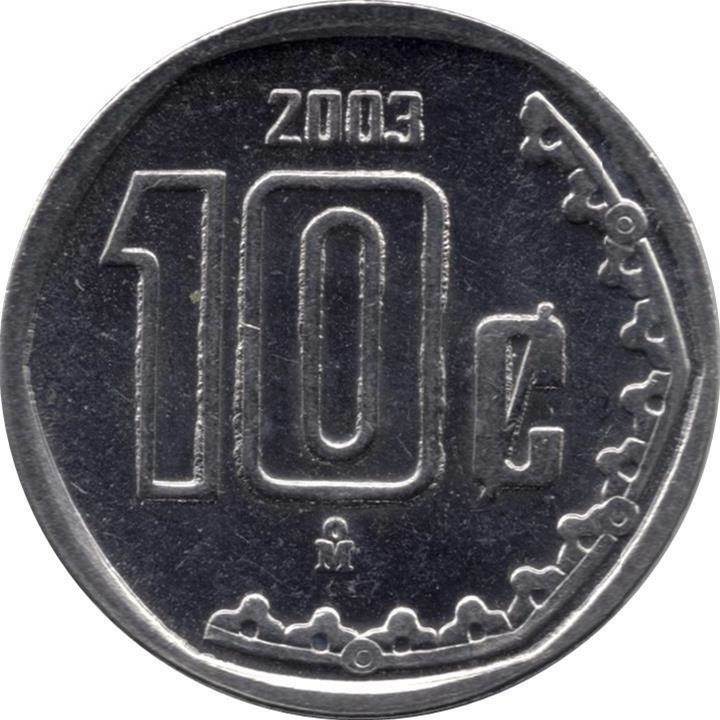 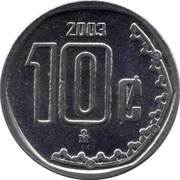 On a six-sided field, at center, the denomination 10¢ with the date above and the mint mark Ṁ below. 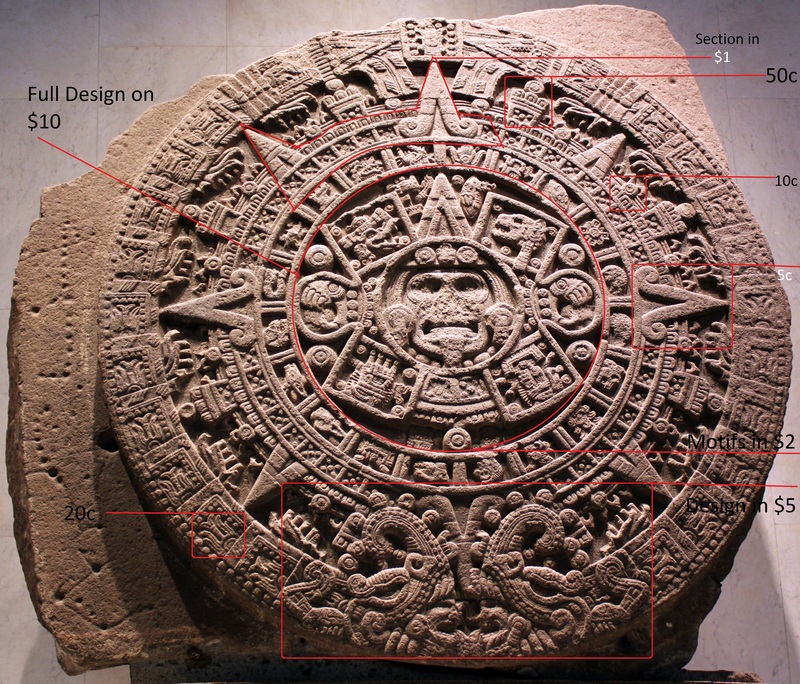 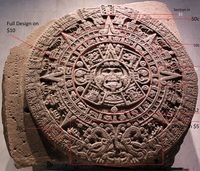 To the right and below, a partial border of stylized solar rays of the Ring on the Sacrifice (Anillo del Sacrificio) on the Aztec calendar stone (Piedra del Sol).